In its first work for the NBA, new lead creative agency Translation uses the Rev. Martin Luther King Jr.'s words to powerful effect. Excerpts from King's "I Have a Dream" speech serve as the backdrop for images of inclusiveness, as the league celebrates its history of firsts when it comes to breaking down racial and other barriers. Those images begin with Charley Cooper, the first black NBA player, and end with a "We Are One" sign—a reference to how fans and players responded to racist remarks from former Clippers owner Donald Sterling last year. 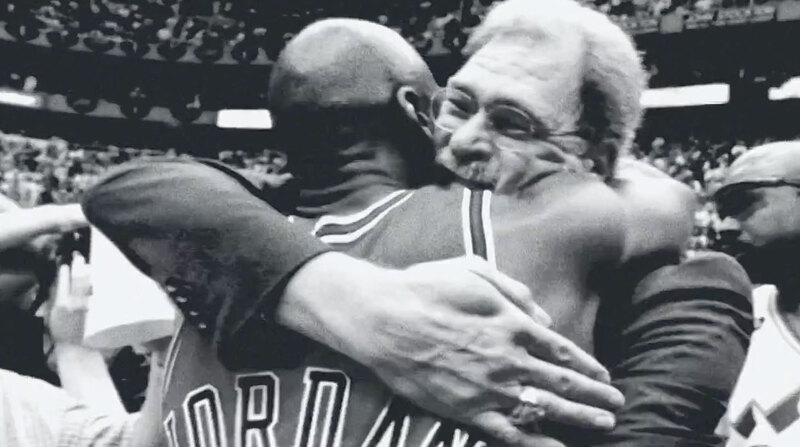 In between are still photos and video of the likes of Oscar Robertson, Wilt Chamberlain, Bill Russell, Magic Johnson, Larry Bird, Michael Jordan, Yao Ming and Jason Collins, the first openly gay NBA player. The ad breaks online today and will extend to TV during the NBA's slate of games on Monday—Martin Luther King Jr. Day. It's part of a broader campaign that continues into Black History Month in February and features a mentorship program for students; video vignettes about why Charlotte Hornets forward Marvin Williams is passionate about African American history; and an NBA Inside Stuff piece about a Tuskegee Airman who was the grandfather of Orlando Magic forward Tobias Harris. So, kudos to the league for going well beyond just creating an ad. That said, while many will find the ad artful and inspiring, don't expect it to be universally loved. Any commercial use of King's words—however well intentioned and well timed—is bound to draw criticism. Telecommunications company Alcatel learned this hard lesson in 2001, when it unveiled an ad from Arnold that depicted King making his famous 1963 speech but without the crowd of 250,000 that had amassed to hear it. The brand message was, "Before you can inspire, before you can touch, you must first connect." Critics, however, recoiled at the blending of history and commerce. By contrast, the NBA ad—while obviously designed, at least in part, to sell more tickets—feels commemorative and will run on TV for just five weeks. The league obviously got approval from King's estate to use the audio. And it's backing up the message of the ad with programs and actions to help the black community. Nevertheless, some will still find fault with any commercial use of King. Even an ad as graceful as this one.